By electing Democrats we can start to fix our ruined roads. In Kalamazoo County that means that Republican state senator Margaret O’Brien has allowed the ridiculous pothole problem that plagues us to worsen by going along with her party’s folly of giving tax breaks and freebies to fatten corporate profits rather than fixing the roads. Michigan has 11,156 bridges, and 1,234 of them are structurally deficient. 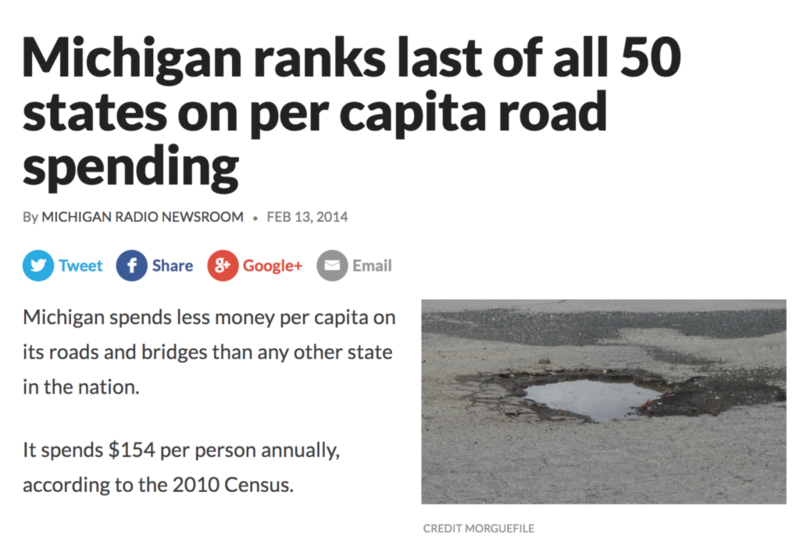 This means that Republican state senator Margaret O’Brien during her term has contributed to the dangerous infrastructure problem worsening by endorsing her party’s abysmal record of turning its back on the citizens of Michigan. Kalamazoo County needs a leader like Sean McCann who knows that Lansing should serve everyday people – not special interests.